This could be you in 2015… here’s a photo that will bring a smile to your face, from our partner White Grizzly Cat-skiing in the Selkirks, BC. Still a few spots available for spring skiing. 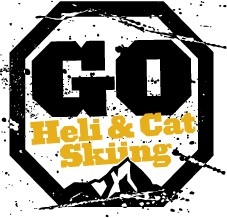 Missed the chance to go cat skiing this season? Don’t worry, now we’ve opened the booking with White Grizzly Cat-skiing for next season, 2015/2016! Amazing and varied terrain, deep powder… and one of the cosiest lodges imaginable. 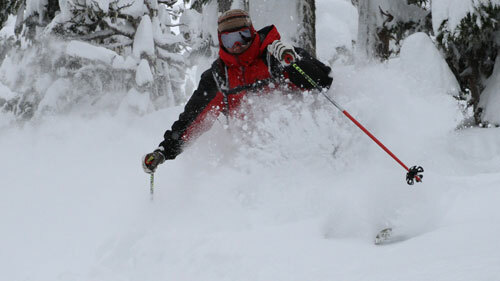 Check out White Grizzly Cat-Skiing details and prices. And don’t wait to long. It sold out real quick this season. Merry X-mas… the flick from Crescent Spur will get you dreaming! Merry X-mas… the flick from Crescent Spur will get you dreaming. Check out the amazing heliskiing and vast terrain of our operator Crescent Spur Heli-Skiing in BC! Keep dreaming and plan for making it reality. 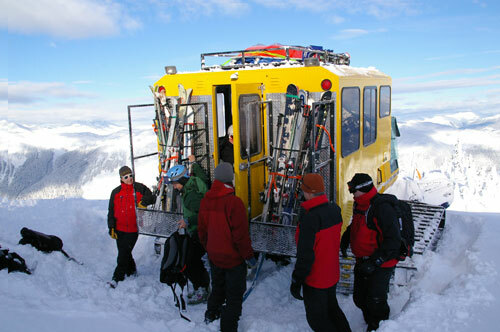 Location: Crescent Spur Heli-Skiing is nestled in the northern Cariboo Mountains, and the northern Rockies. Take a local flight to Prince George, BC, from Vancouver. Crescent Spur is under 2 hour drive east of Prince George, 6 km off the main highway. Crescent Spur offers scheduled transfer between Prince George Airport and the lodge. Alternatively the drive from Jasper is about 3 hours, or from Calgary about 8 hours. Ski Area: Over 2,500 square kilometer. Grouping: Two groups of 10 with two guides in each group. Only 20 guests at any time in the lodge and terrain. Ski Terrain: Mix of some of the best the BC Rockies have to offer: alpine bowls, spectacular glaciers, and open forest. Vertical Skied: Runs up to 1200 vertical meters. Number of runs: Average groups do 10-15 runs per day, fewer in the early winter and more in the spring. Runs: Over 200 named runs. 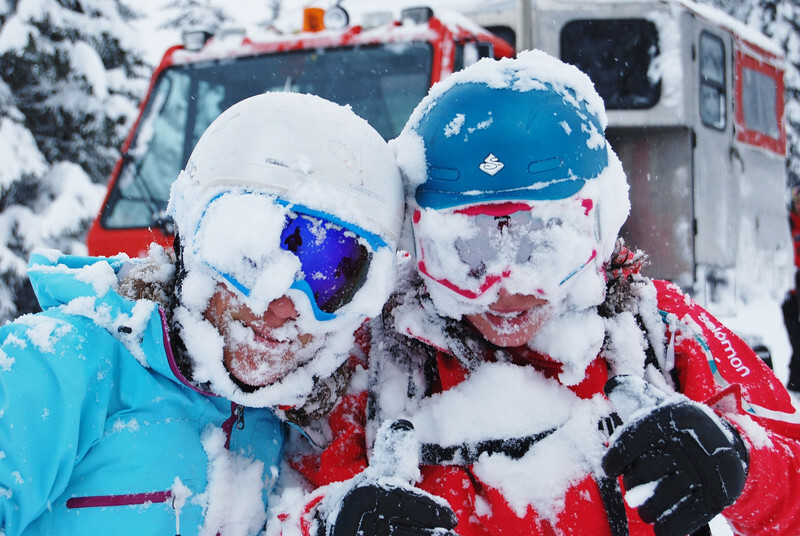 Did you heliski in 2014 and fulfil your Powder Dreams? Great Canadian Heli-skiing have few spots in the last few days of 2014. Or if you can’t make it to BC in time, book one of the remaining seats of the 2014/2015 season. And – for those of you that are way ahead of the pack – now next season 2016 is open for booking too! 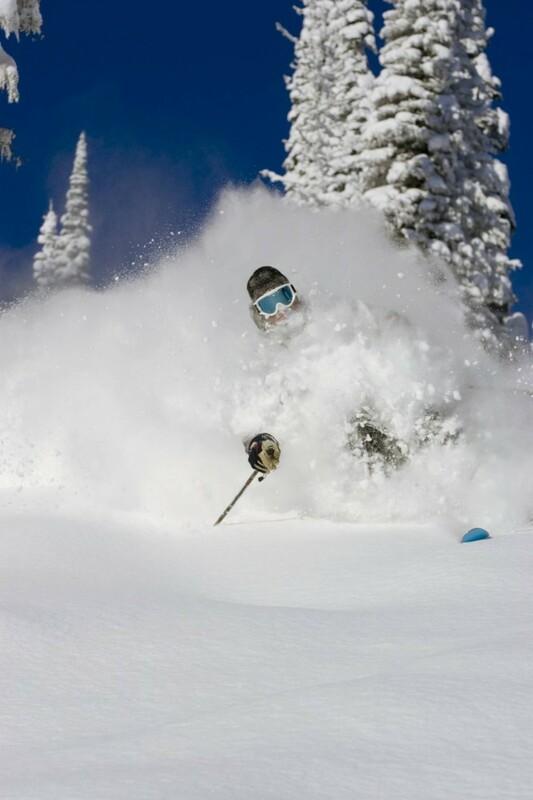 Check out Great Canadian Heli-skiing services and prices. Contact us to secure a seat! The north-west British Columbia is blessed with copious amounts of light, dry powder in December, making it the perfect time to experience some of the deepest days imaginable. Northern Escape have decided to open the doors early and share the goods next season. 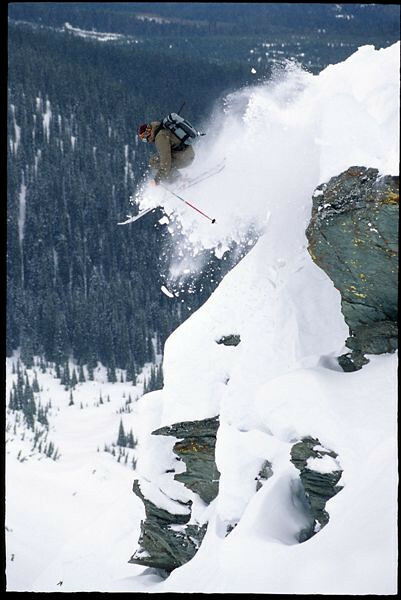 Northern Escape Catskiing will offer skiers and boarders the opportunity to have it all; dropping into huge alpine bowls, steep old growth forest, and wild pillow lines. The new Catskiing Program will launch in December 11, 2015, to January 15, 2016! Taking advantage of the vast quantities of powder that falls early season and makes Northern British Columbia the envy of the ski world – block your calendar for an amazing start of next season already. Contact us to reserve a spot already! For all you ski & dog lovers! For all you ski & dog lovers this is such a beautiful film, SUN DOG from DPS shadow campaign. This is freedom at its best. Here is on more clip from the MSP’s Days of my Youth, just because this is probably one of the sickest ski lines we ever seen. The boys from MSP Films have done it again. Their new film, Days of our Lives, created with Red Bull Media House is out. Vertical Skied: Average groups do 8-15 Runs per day. Vertical guarantees range from 13,100 meters for 3 Days and 30,500 meters for 7 Days. Average Snowfall: 30-40 meters. Snow base is often 10 meters. In other words Mammoth Snowfall! It is epic and deep – it is the stuff of dreams! 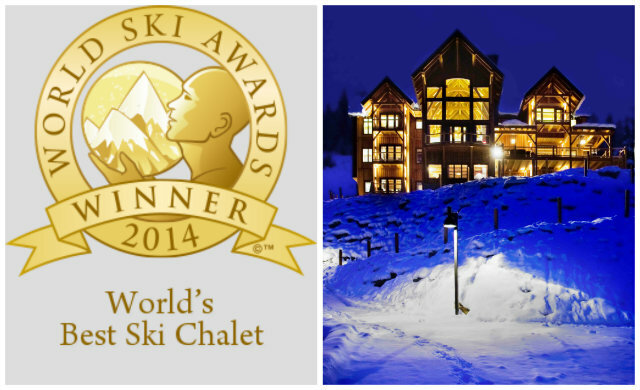 Bighorn Revelstoke has been named World’s Best Ski Chalet for the second time at the World Ski Awards. We are delighted to be voted best of the best, beating off competition from hyper-chalets in Aspen, Courchevel, Verbier and Lech. Accepting the award at a gala ceremony in Kitzbuhel, Austria, Bighorn’s owners put the secret of their success down to hard work and Revelstoke’s incredible powder snow that always delights guests! 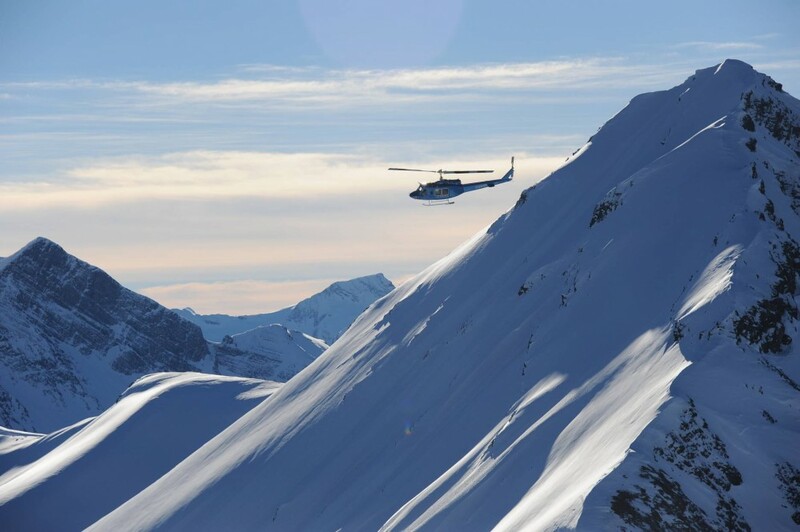 Bighorn was voted the winner not only for the stunning property, but because it also offers five star service and world-renowned heliskiing direct from the house helipad. Our team work tirelessly to make each guest’s stay a memorable mix of luxury and adventure. We have only 3 weeks available this winter, but you still have a chance to stay at the World’s Best Ski Chalet! Or you can secure your week already now for next season by booking now.